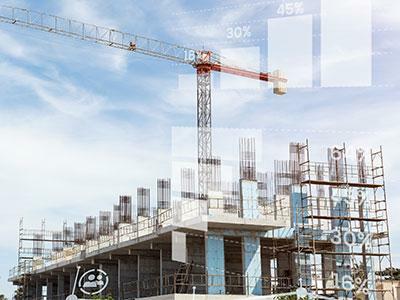 P1 Group uses the industry’s most cutting edge technology, including BIM (Building Information Modeling), VDC (Virtual Design Construction) and 3D laser scanning to help clients meet their two most important goals: staying on time and on budget. 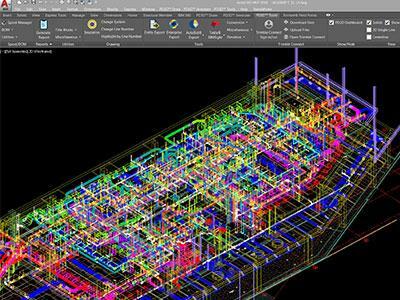 BIM incorporates models that are the virtual equivalents of the actual MEP equipment and materials installed in the field. They are made up of the geometry (3D object) and associated data, like the manufacturer specifications, size and location. Together they form “smart” objects – when the information changes, the model changes and vice versa. 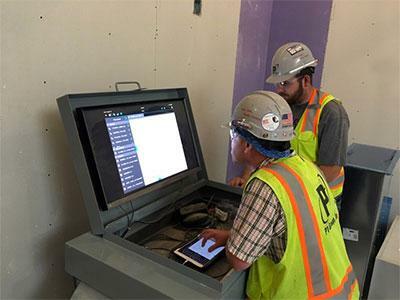 Using BIM to plan and coordinate the work, VDC is the execution of the workflow which vastly improves day-to-day communication for an improved client experience. The VDC department uses in-house technology and expert professionals to get information to the field quickly. Coordinated models become accessible during installation where they can be viewed on iPads by field personnel. 3D laser scanning creates a scan of the building interior which is then combined with the BIM model. The VDC Fabrication Department uses the highly accurate model created by this technology to fabricate piping into an existing building without being on site. The VDC department’s delivery of more comprehensive drawings, superior project planning and quicker delivery times translates into improved field safety, fewer man hours worked and enhanced project completion schedules for every client.